Whether it is brief solution focused counselling or more in-depth psychotherapy, my extensive training and experience in the profession since 1992 enables me to effectively support people with a wide range of life issues, worries, dilemmas, difficulties and struggles, within my commitment to the therapeutic relationship. I am an accredited and registered counsellor, psychotherapist, supervisor, and (since 1998) trainer of counsellors. My training and experience in these fields includes a transpersonal psychotherapy training with two of the developers of transpersonal psychology in the UK (Ian Gordon-Brown and Barbara Somers). Transpersonal psychotherapy is a mindfulness-based therapy which focuses on the whole person to enable understanding, insight and change, and seeks to support a person to resource and strengthen all areas of their life, as well as discern potentials and increase capacities. In this sense, transpersonal psychotherapy is a “full spectrum” therapy. This training builds on and includes psychological insights from other trainings, for example, the psychodynamic emphasis on the influence of early life experiences, and the core values, principles and beliefs foundational to humanistic psychotherapy; these are summarised here: UK Association for Humanistic Psychology Practitioners (UKAHPP). Since 2006 my post-qualifying training has also focused on working with trauma. My therapy, supervision and teaching practices are also informed by a sustained involvement and training in the related fields of Jungian psychotherapy (analytical psychology), body psychotherapy, humanistic psychotherapy, trauma focused therapy, and the contemplative traditions both East and West. From 1995 to 2015 I was a staff therapist at Wellspring, Centre for Counselling and Psychotherapy, Edinburgh, and am now developing further my private practice. Brainspotting (BSP) for working with trauma and Post-Traumatic Stress Disorder (PTSD) with developer Dr. David Grand. Generational Brainspotting (GBSP) combined with Somatic Archaeology with developer Dr. Ruby Gibson. Positive Neuroplasticity Training (PNT) to increase resilience and wellbeing with developer Rick Hanson. Somatic Trauma Therapy for Post-Traumatic Stress with Babette Rothschild. Prof. Paul Gilbert’s Compassion Focused Therapy for working with trauma. Comprehensive Resource Model (CRM) for the Treatment of Complex PTSD with developer Lisa Schwarz. Other training and Continued Professional Development includes: Psychopathology (1 year as part of MSc programme), Jungian seminars, lectures and workshops with the Independent Group of Analytical Psychologists, (IGAP), London, and through the Guild of Pastoral Psychology (Edinburgh Group), and EUROTAS organised transpersonal psychology conferences. Anxiety, bereavement and loss, creativity, dissatisfaction in life/work, depression, dream work, gender, identity, life changes, life direction, life review and revaluation, meaning and purpose, relationships, personal development, transition, sexuality, spirituality, stress, trauma and PTSD. Confederation for Analytical Psychology (Jungian). BA (Hons), MTh (Heythrop College, London University), PGCE, Dip. 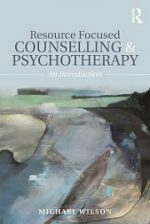 Wilson, M. (2017) Resource Focused Counselling and Psychotherapy: An Introduction, London & New York: Routledge. 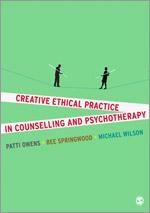 Owens, P., Springwood, B. and Wilson, M. (2012) Creative Ethical Practice in Counselling and Psychotherapy. London: Sage. 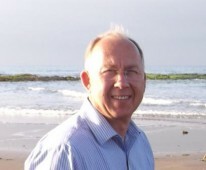 www.michaelwilson.uk.com for my current programme of transpersonal psychology workshops in Scotland.